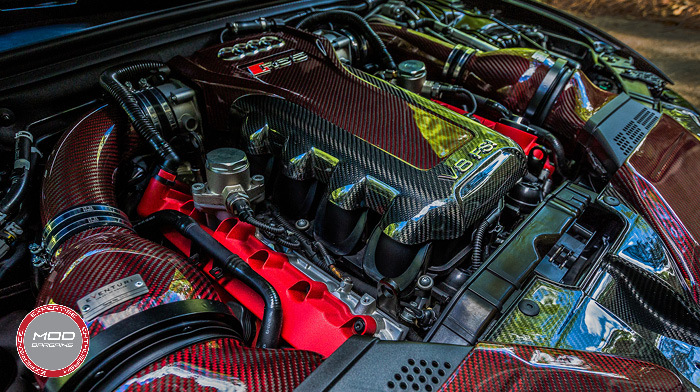 Eventuri's unique Two-Tone Carbon Fiber Engine Cover for the 2010+ Audi RS4/RS5 [B8] is a ridiculously good looking design that is sure to set you apart from even the most high-end of Audi builds. 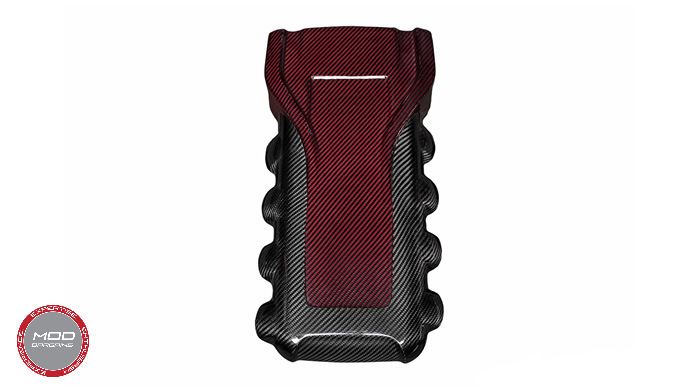 Blends seamlessly with other Eventuri carbon fiber components to help create a unified, premium look. 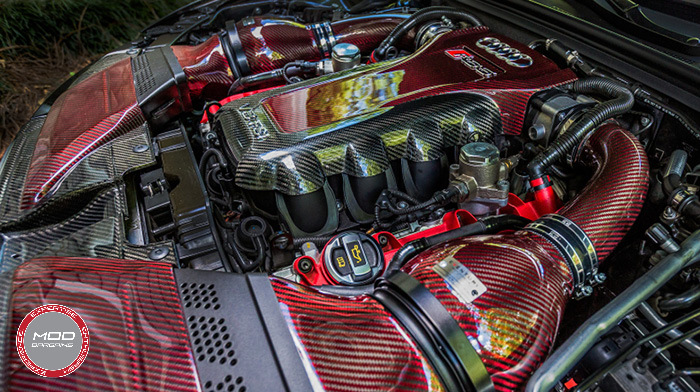 The brilliant color infused kevlar weave combines beautifully with the carbon fiber to produce an absolutely stunning center piece for your engine bay. 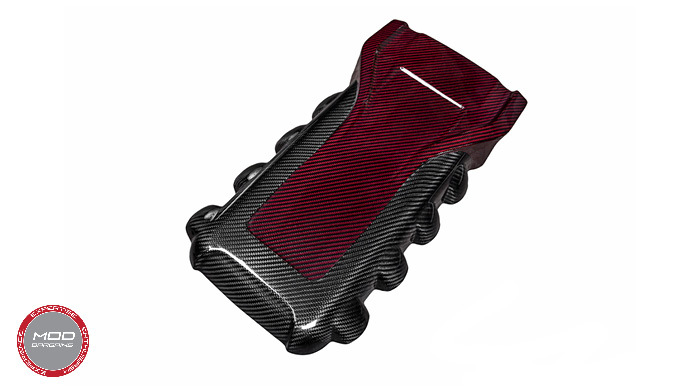 Don't settle for the flimsy stock plastic cover when you can give your Audi some real flare.